Reed Switch only closes once with each magnet pass, keeping the switch closed for the maximum magnet travel. Provides as many as three closures with the maximum magnet travel, but can provide only one closure with restricted movement. 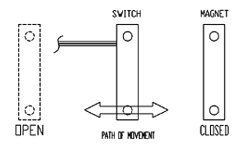 Similar to parallel motion, except motion is at right angles to the reed switch and it completely passes by the switch. 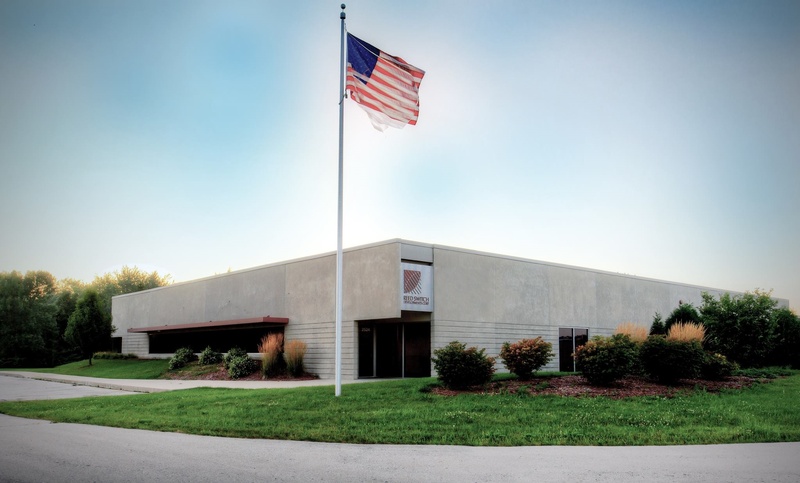 Reed Switch closes once per pass, wide angle magnet movement is necessary to achieve one switch closure. Magnet & reed switch are permanently fixed in position with normally closed contacts. Switch will open when a shield of magnetic material is inserted between the magnet and switch. When the magnetic pole axis and the reed switch axis are parallel, the switch closes. When the axis are perpendicular, the switch opens. Two or more closures occur with each revolution depending on the number of poles.